Perth, Australia, April 25, 2018: As recent project announcements show, the number of Australian mining operators seriously assessing and investing in renewables is growing rapidly. Driven by favourable economics and additional benefits including carbon reductions and social license, major and mid-tier Australian mines are adopting renewables. South32 recently announced its 3MW solar farm for its Cannington mine in Queensland for which SunSHIFT is providing its re-deployable solar solution. Once complete, this will be the second largest solar project for a remote, off-grid Australian mine. Similarly, Image Resources is investing in a 3-4 MW solar farm adjacent to its Boonanarring mine and processing plant, which are currently under construction. This ‘behind the meter’ solution will deliver around 25% of the facilities electricity needs. GMA Garnet, a leading supplier of garnet used in blasting and water jet cutting, has locked in energy prices for the next 13 years for its Western Australia operations through a long-term power purchase agreement for wind and solar. OZ Minerals also recently announced plans to build a solar and battery storage facility at its Prominent Hill mine in South Australia, and is looking at further investments in renewables to support other projects in the region. The mine also became the first resource company to sign a transmission cost partnership with a renewables developer through its recent deal with SolarReserve. Finally, New Century Resources is investing in SunSHIFT’s portable and scalable solar system to supply power for the refurbishment of its Century mine at $120/MWh which is a fraction of the $400/MWh it had been paying to run diesel during Care & Maintenance. And Copper Mines of Tasmania (CMT) has an ambitious plan to make Mt Lyell on Tasmania's west coast Australia's first zero emissions mine through investments in electrification and renewables. In addition to these projects, there is quite simply a wealth of major mines and mid-tier leaders at various stages if assessing and approving renewable energy investments for remote and grid-tied sites. While these projects are not yet public, many will be showcased at this year’s Energy and Mines Australia Summit on June 27-28 in Perth. "At sites where we also integrate wind, the mine can offset more than 70% of its fossil fuel usage,” observes Amiram Roth-Deblon, Head of Global Business Initiatives, juwi Renewable Energies. “We are currently designing such solar-wind-battery hybrids for multiple sites in Western Australia." This heightened activity has positioned Australia as the fastest growing market for renewables for mines. Senior mining representatives are now preparing to meet with global renewables experts in Perth this June 27-28 to discuss renewables integration. This 2nd annual Energy and Mines Australia Summit, features presenters from BHP, Sandfire Resources, Fortescue Metals Group, Rio Tinto, South32, Nyrstar, Oz Minerals, Australian Vanadium, Panoramic Resources, Montezuma Mining Company, Resolute Mining and Gold Fields. SunSHIFT is the in association sponsor for the Summit which offers a complete picture of current opportunities and challenges in integrating alternative energy options for remote, fringe-of-grid, and grid-connected mines. The Summit is also being supported by juwi Renewable Energies, VSUN Energy, Hatch, Aggreko, Zenith Energy, and ONETIDE Modular Systems. For more details on these projects and the upcoming Summit visit Energy and Mines Australia Summit website. Opportunity to Own Free Fixle Shares by Attending! Perth-based Fixle is proud to announce a one-off, spectacular evening event – Naomi Simson ‘Small Business Success’ – in the Grand Ballroom at Crown Perth tonight, Thursday 3rd May, 2018 at 5.30pm. Truly inspirational – Naomi is riveting, she will engage you from the moment she starts sharing her wealth of business insight. One of Australia’s most prominent entrepreneurs and business leaders, Naomi Simson is known as the founder of online experience retailer Red Balloon. You may also know her as an investor on Network Ten’s popular television series Shark Tank. Naomi’s insider knowledge will allow you to transform your business with methods that you will not find anywhere else. Naomi will give you a clear vision of what steps you need to take, and exactly how you should do them. As well as Naomi Simson, the Perth Symphony Orchestra and The Dance Collective will be performing while radio personality Dean Clairs (Mix 94.5) will act as Master of Ceremonies during this exciting evening. Exclusive offer: All attendees will be given the opportunity to receive free stakeholder membership in Fixle when it goes public. A $5,000 investment in a search engine company 5 years ago would now be worth over $1.5 million. This is a unique chance to own a part of the latest business tech innovation. Fixle describes itself as an online directory and booking app for local businesses! All are welcome to sign up now! Fixle has been created by a dynamic Perth team lead by businessman Aaron Pascoe, who owns Pascoe’s Gas, Water and Electrical. That firm, supplying high-quality plumbers and electricians, was launched 30 years ago but became highly successful in recent years after marketing its no call out fee and quality guarantees. This same business system – incorporating in-house designed software that allows online bookings and quality control – is now applied to Fixle in Perth. Now any Perth businesses offering a service, from videographers to chiropractors, can use Fixle to reach new customers. To access two for one ticketing link for Naomi Simson’s event click here. A business influencer and leader with more than two million Linkedin followers, Naomi is the author of three books including the bestseller Live What You Love, I Want What She's Having and Ready to Soar. Naomi is an engaging and passionate speaker, often drawing on her own personal experiences as a business owner. She provides thoughtful and honest conversations on topics such as purpose, leadership, business success, the entrepreneurial journey and thriving workplaces. First, she worked for big business – IBM, Apple, KPMG and Ansett Airlines – but she found her greatest success with small business. In 2001, she started off in her front room with a second-hand computer and a wad of cash. This she turned into RedBalloon, a pioneering Australian online success story. Then she found fame as a star of the small screen in Channel TEN’s Shark Tank, a show that pitches people with business ideas into a sea of business people who could be potential backers. For Naomi, the road to happiness is signposted by Three Rs – resilience, respect and responsibility. Her peers acknowledge her contribution to business life with accolades that include Pearcey ICT Tech Entrepreneur of the Year, National Winner Ernst & Young Entrepreneur of the Year, National Winner of Telstra Business Women’s Awards for Innovation, and five times RedBalloon has been voted One of Australia’s Best Places to Work. She matches her business acumen with a caring nature. She is a director of the University of Melbourne Faculty of Business Economics and a Governor of the Cerebral Palsy Alliance. Her character took her to philanthropy, a role she has relished with a passion. Naomi insists that life should be a communal experience. “People need more shared good times. We are meant to hang out together,” she declares. Fixle is a simple to use, high tech, booking and scheduling platform that allows businesses to receive bookings 24/7. Simply set your working hours to receive jobs in your local area. The best part of all is it won’t cost you a cent to use Fixle unless you’re completing bookings. You’ll only pay when your customer does. Fixle has been created by a dynamic Perth team lead by businessman Aaron Pascoe, who owns Pascoe’s Gas, Water and Electrical. Pascoe’s Gas, Water and Electrical, launched 30 years ago, became highly successful in recent years after marketing its no call out fee and quality guarantees. This same business system – incorporating in-house designed software that allows online bookings and quality control – is now applied to Fixle in Perth. Now any Perth businesses offering a service, from videographers to chiropractors, can use Fixle to reach new customers. The best part of all is it doesn’t cost businesses a cent to use Fixle unless they’re completing bookings. You’ll only pay when your customer does. You only pay for results. Fixle makes the connection between consumer and business seamless. Our user-friendly platform combined with our powerful marketing strategy will give your business exposure to more customers than ever before. Join Fixle today and get on board the latest tech innovation that will give you limitless business growth. Don't miss out on an opportunity of a lifetime! Exclusive offer: All attendees will be given the opportunity to receive free stakeholder membership in Fixle when it goes public. This is a once in a lifetime opportunity to become a part of an Australian owned tech company. Aside from the booking platform, Fixle also offers all business partners 8 components to support and guide them in growing their company. Fixle has identified each of these components as something that small businesses may struggle to access, and something that big companies use to improve results. JUNIOR EXPLORER Bryah Resources – which has more than 900sqkm of highly prospective ground in the Bryah Basin and Gabanintha in Western Australia – has announced samples have tested up to 49.5% manganese (Mn). Bryah Resources managing director Neil Marston said: “This result is extremely encouraging because it adds another string to the bow of our promising junior explorer. Not only does the company have favorable copper and gold targets, the high-grade presence of the emerging battery metal, manganese, has also been confirmed. “We knew there were significant manganese anomalies, but our recent work has verified very high grades. “The global outlook for manganese is extremely good, there is a shortage of supply and increased demand which is driving up manganese ore prices, up 50% in the last 6 months. Manganese is used in steel production and as a battery component, notably in electric vehicles. Bryah Resources’ 718sqkm Bryah Basin Project is about 100-150km north of Meekatharra. The Bryah Basin is home to two significant copper-gold discoveries – the historic Horseshoe Lights mine (closed in 1994) and Sandfire’s DeGrussa mine (discovered in 2009). 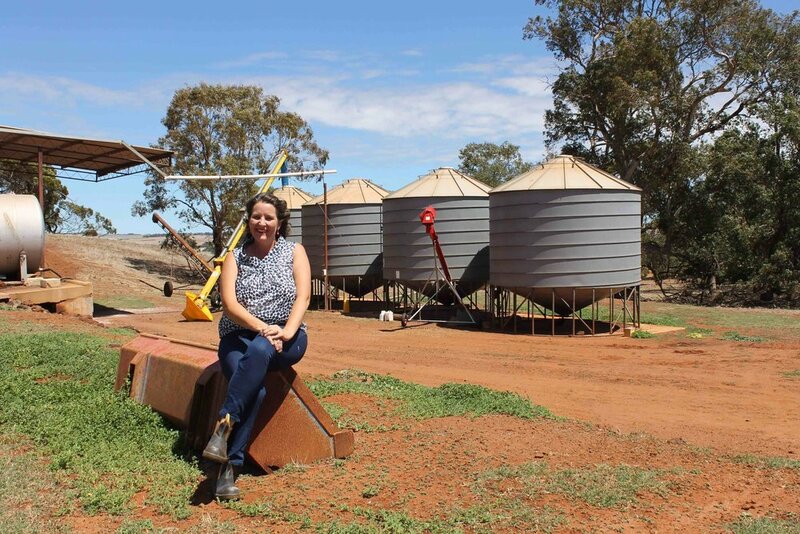 Partners in Grain WA (PinG WA) expects more than 200 businesswomen from Western Australia’s Wheatbelt to attend its second INSPIRE Summit at the Esplanade Hotel, Fremantle from March 27-28. Women attending the conference will travel from across and beyond the traditional Wheatbelt areas – as far as Gascoyne River in the north across to Southern Cross and the Esperance region. There are also women from varied enterprises as well as just grain farmers. In the past Bronwyn’s Dandaragan farm has grown canola, wheat and barley and now grows lupins for sheep flocks but specialises in potatoes, reflecting the growing diversity of WA’s agribusiness sector and the fact that the conference program will be attractive to farming businesses generally, not solely grain growers. The two-day summit is aimed at women who already know the fundamentals of operating a farm business but are keen to learn more. Differentiating it from other conferences, and ensuring the focus remains true to its objectives, INSPIRE is only open to farmers, sponsors and speakers. The event is nearly fully booked with less than 10 spots remaining. Speakers include: Matina Jewell (sponsored by Plum Grove) lessons of leadership and resilience; Nadine Campion (sponsored by the RRR Network) on 10 Seconds of Courage; Dr Cheryl Kalisch Gordon (Rabobank Senior Grains & Oilseeds Expert); Esther Jones (Nailing It: presenting well and articulating your message); and Dr Joyce Chong (The Skill Collective) on wellbeing. There will also be informative sessions on managing risks and a host of growers sharing skills and experiences within the panel and concurrent sessions. The event’s official partners are Rabobank and Plum Grove, while sponsors are RSM, Planfarm, HopgoodGanim Lawyers, Grain Industry Association of Western Australia and the Department of Primary Industries and Regional Development. Project funding has been secured with the Grains Research and Development Corporation, the RRR Network and the Department of Communities’ Grants for Women. Through the opportunities offered, PinG WA hopes to strengthen farm businesses and generate innovation within the agricultural industry. or Like Facebook Partners in Grain WA or follow twitter PinG WA. Partners in Grain WA (PinG WA) is a not-for-profit organisation that provides locally relevant, personalised training for Western Australian broadacre farmers. As a state based organisation PinG WA has an alliance with similar entities covering NSW, QLD, Vic/Tas and SA. Each state entity operates according to its growers needs. In WA, the Coordinator and volunteer Board work to facilitate professional development where and when it’s required. This involves coordinating relevant events and opportunities that provide targeted training specific to farm businesses. As PinG WA is not a commercial organisation, it does not compete with services that are already available. Its role is to provide services and opportunities that are not being delivered or are not readily accessible in rural WA. According to the Department of Agriculture and Food, wheat is the major grain crop in WA, making up 70 per cent of total annual cereal production and generating around $A2 billion for the state economy each year. Wheat production occurs across the WA Wheatbelt on 4000, mostly, family-run farms ranging in size from 1000 to 15,000 hectares. WA generates 8-10 million tonnes of wheat per annum which is 50% of Australia’s total annual wheat production. Blogs, linked to your company website, educate and connect your customers to your products and services. Did you expect to have written way more blogs in 2017, than you actually did. Maybe time to admit defeat, and hire an expert to do the job. Our writers are all former reporters and produce excellent written content. For those booking prior to 31/1/18, there is a special 3-month trial offer available, with a PR option, if required. Hurry now, this offer is strictly limited. For a sneak peak at the high-quality, consistent news blogs our team produces, go to Rockcliffe Winery. Perth Media CEO Cate Rocchi, who is also the voluntary chair of not-for-profit Linkwest, talks about how community resource and neighbourhood centres are supporting WA Minister for the Prevention of Family and Domestic Violence's recent domestic violence initiative. Here is the podcast. Fantastic photo, for Perth Media, by Courtney Holloway capturing the excitement as the $5m IPO went live. Big week here at Perth Media, as Bryah Resources (ASX: BYH), a WA copper-gold explorer launched on ASX Tuesday 17th, October. Timing was good with copper price at 3-high. MD Neil Marston in Sydney this Friday, if any reporters need an interview. Please get in touch. Presspack also available. Investors are some of the same that backed Sandfire Resources, many years ago.